Well, not me... but my site. Happy One Year Anniversary to us. This day last year, I made Vanilla-Peppermint Cupcakes. So young, so innocent. This year, I'm thinking (if I'm not too full later tonight) I will make candy cane whoopie pies! So, Happy Thanksgiving! Here's to growing (in more ways than one). And here are a few things that are putting me in the spirit! 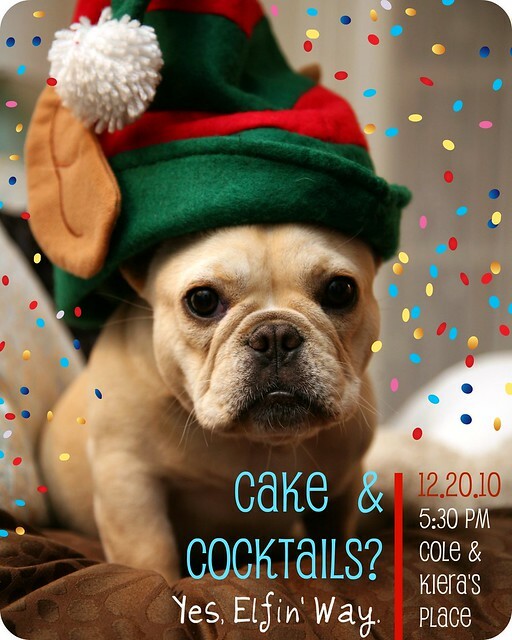 This little informal invitation I sent out to Cole's family for a little get together before the Holidays. 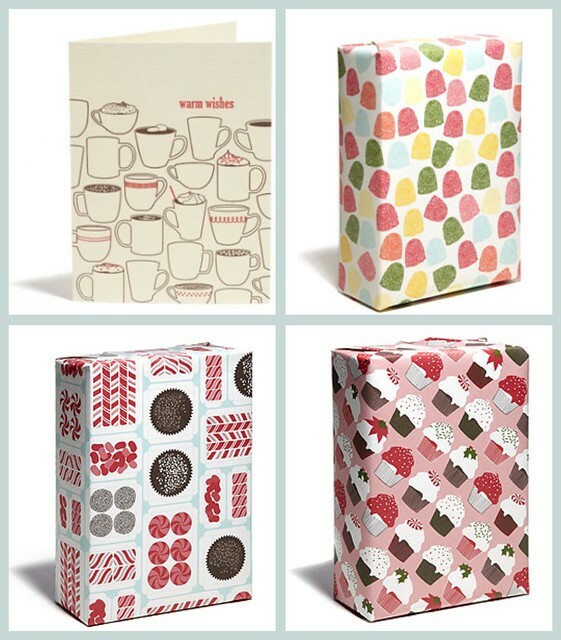 This sweet wrapping paper and holiday card collection from Snow & Graham. 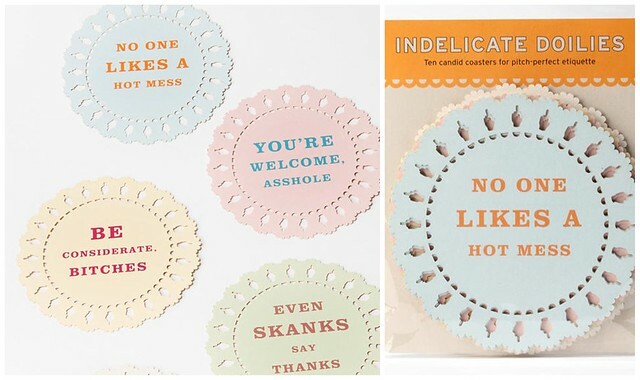 "Indelicate Doilies" from Urban Outfitters. Sweet, sweet irony. For our inner grinch. Jonathan Adler now makes Edible Giftables. The entire Marina just wet themselves with excitement. Ewww, gross-ah.